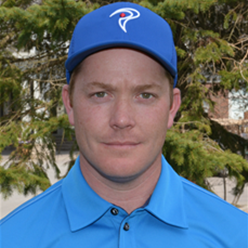 Liam joined the PGA of Canada in 2001, one year prior to graduating from the University of Alberta in 2002 with a Bachelor's of Physical Education. At University Liam was on the varsity golf team, an All Star volleyball player and a medalist in badminton. After spending nearly a decade with the World Long Drive Tour, California Mini Tours and various Professional Tours in Asia, Liam founded The Golf Lab in 2009. It is a 26,000 square foot indoor facility open to the public. It was the first time that a public facility had fully integrated all aspects of the TPI model. It encompasses onsite coaching, physical, medical and equipment services and it has solidified its reputation as Canada’s Premier Game Improvement Center. Liam’s ability to drive a golf ball unusually far quickly attracted attention from his fellow competitors. He found himself developing programs for their off season training. The success experienced by some of these top ranked players in Asia, as well as Long Drive Professionals, helped validate Liam’s new career path to coaching in 2008. More recently Liam has refocused his energy on Education and Research. He has been working with the PGA of Canada to provide the highest level Golf Coaches in Canada with support on analyzing performance with technology. Liam also helped TPI launch its worldwide Power Coach Certification program in May of 2013. The technical tools provided by The Golf Lab allow Liam to continually do high level research focused on quantifiable Game Improvement.